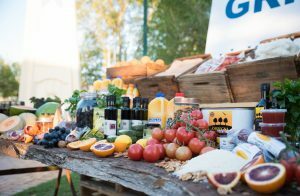 Take a tour of two of the regions best small goods producers, Codemo Smallgoods and Riverina Grove. 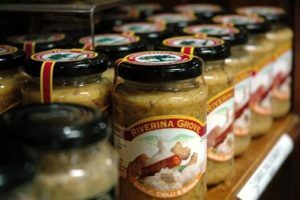 Riverina Grove, located in Griffith makes over 30 products sourced from the Riverina. 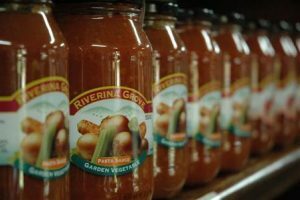 Products include chunky tomato based pasta sauces, tapenades, olives, relishes, carmelised balsamic and everyone’s favourite, Bum Hummers! All products are vegan, natural and free from preservatives, gluten, artificial colours and flavours. Visit the shop to sample our delicious products, enjoy a coffee or choose from a variety of hampers. With a history of smallgoods manufacturing that goes back to the ‘50’s, here at Codemo Smallgoods we pride ourselves on providing quality not quantity! 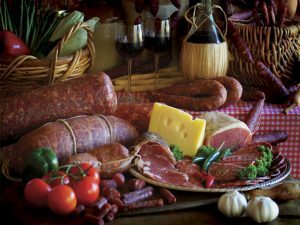 Our specialties are Salami, Bacon, Sausages, Devon, Prosciutto, Coppa & Ham which are manufactured on site and distributed throughout the region. 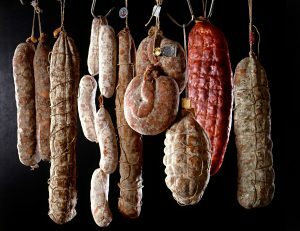 Visit the shop to taste our different styles of Southern and Northern Italian Salami.